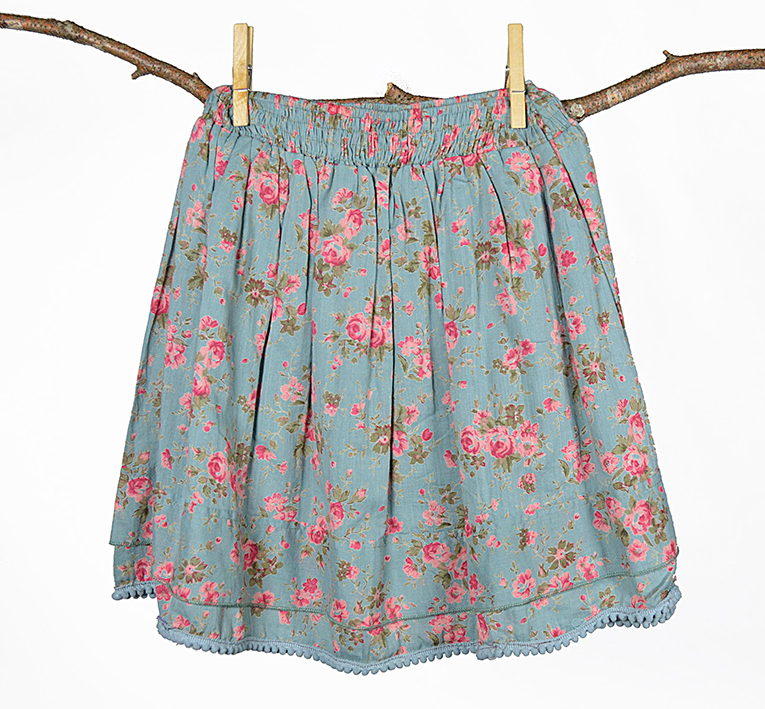 Pretty skirt with pom poms along the hem and a stretchy elastic waist in this season’s printed soft cotton voile. Fully lined. 100% Cotton, machine wash at 40 degrees. Comes in sizes S/M (age 2-5) length 26cm and M/L (age 6-9) length 39cm. Please note that the waist is stretchy, so the main size difference is in the length.